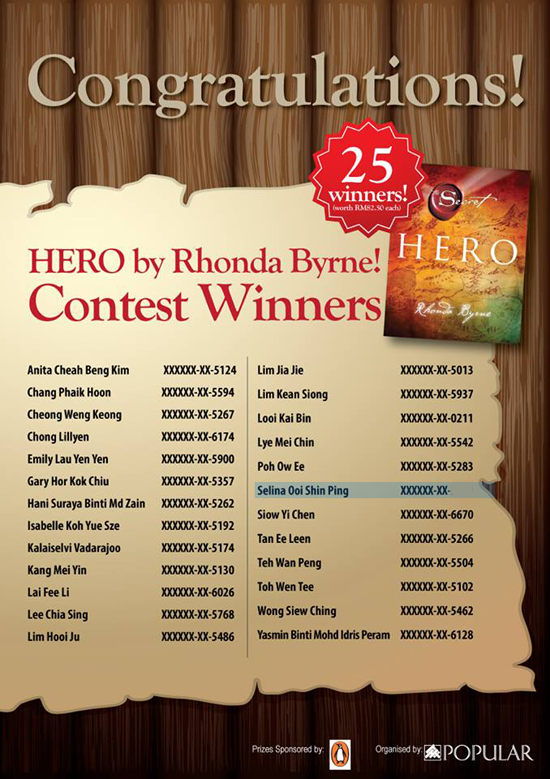 I Won A HERO Book by Rhonda Byrne, Author of The Secret from POPULAR MALAYSIA! I was taking the Giveaway contest organized by the Popular Malaysia on last November month. 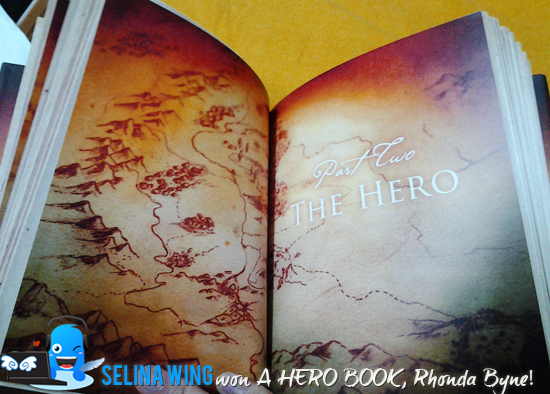 In the contest of Giveaway of HERO book by Rhonda Byne, they asked us to share what about your dreams and ways to achieve them. I wrote a short words in 20 words as I remembered that I shared my experience as Deaf successful person to show what I can do with Deaf and Hearing society. After my family and I celebrated new year, I shocked when I informed by the Popular Malaysia's email so earlier after new year day!! I was one of 25 winners for the HERO contest!! It is very amazing gift to me in my life!! I am really to be thankful to my Universal for giving the luck and wealth to me so much! 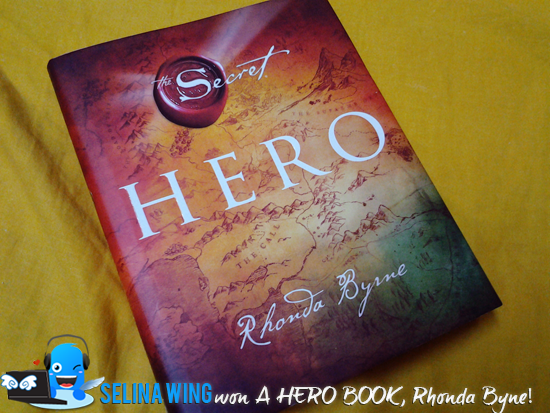 The HERO book, by Rhonda Byrne, Author of The Secret, priced at RM85.28. It is expensive book so I sure treasure this book as my collection books in my life! "From Rhonda Byrne, creator of the international bestselling movie and book, The Secret, comes Hero, her latest world-changing project and the most important to date. What is your true calling and why aren't you already living it? Imagine if there was a map that showed you step by step how to get from where you are now to your true calling and the life you were born to live—the most brilliant, rich, fulfilling, and dazzling life you could ever dream of. You are holding in your hands such a map. Hero is the map for your life. By following the journeys of twelve of the most successful people on the planet today, you’ll learn how to use your inner powers to overcome obstacles and to make impossible dreams come true. You'll be inspired to find your own calling and start taking the steps toward making the life of your dreams an everyday reality. Be the hero you are meant to be." Not me only, my sister, mom and my friends also read it too! They always be happy on everyday, after they changed themselves. It make me amazing! Every day, I always wake up and also believe something always be happen so wonderful in my life! Why I chose this? Because The Secret, is my favorite book which my eldest sister introduced to me as she encouraged me to read this book because it is very great magic to change your life! It is very famous and still be top of bestselling book around the world. There are many millions love to read it, so they knew their own secret to become what they want to be successful and famous in their life! After reading The Secret, my life always be LUCKY on everyday! I also teach my best friends about how to heal themselves, & change their own life to be HAPPINESS and LUCK when they want to be positive, and have good attitude! My best friends are very happy and always get blessing from everyone around them, they be grateful to having me as their great friend because I always advice & teach them that they must change what they want to do to get more better! If you want it, you can find The Secret book at Popular Malaysia! 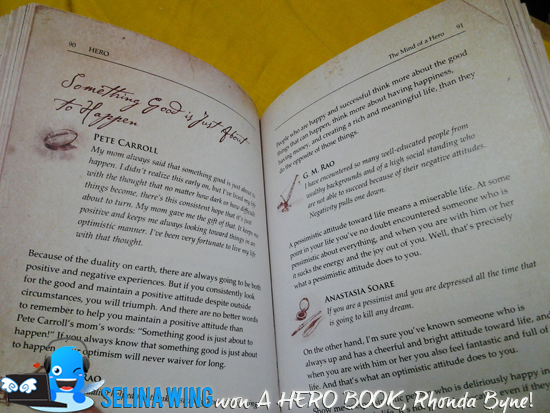 I recommended you to read The Secret book, by Rhonda Byrne before the Hero book!